Do you feel stagnant in your career? Are you unsure about how to take the next steps toward your professional goals? If so, then this session is for you. Achieving success in your career does not typically happen by accident. In this session, you will learn how to take control of your career journey. You will learn about the importance of building your personal brand, owning your narrative and being deliberate about shaping your career journey to achieve your goals. You will be introduced to creative tools and ideas that you can use to help you get in touch with who you are, who you want to be, and how to get there. 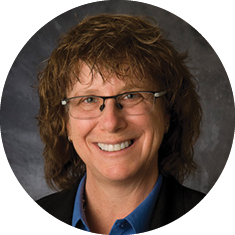 Bethmara Kessler is a global thought leader, lecturer, consultant and advisor to businesses on the topics of fraud, audit, compliance, enterprise risk management, shared services delivery strategies, process transformation and is on the ACFE Faculty and Advisory Council. Kessler is the former Head of Integrated Global Services for the Campbell Soup Company. Her career spans over 30 years in positions that include Chief Compliance Officer, Chief Audit Executive and Enterprise Risk Management Head. Her extensive experience also includes leadership roles in audit, risk management, information technology and corporate investigations in companies including EY, Avon Products, Nabisco, EMI Group, LBrands, The Fraud and Risk Advisory Group and Warner Music Group.